Looking for the best wildlife camera? 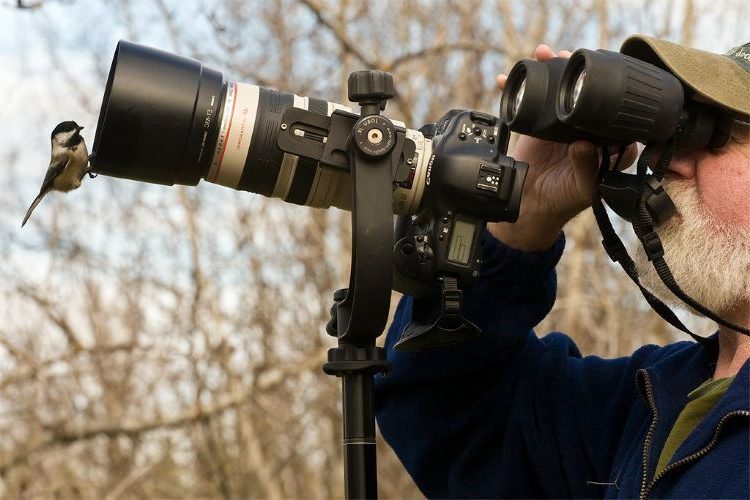 DSLR Cameras are the top choice among professionals for wildlife photography. Capturing animals in their natural habitat and behaving naturally requires fast auto focus, long telephoto lenses, great low light performance and a durable camera you can carry into any environment. Similar to sports photography, wildlife photography is one of the most demanding from a camera's technical perspective. You want speed, accuracy, and performance. **Further below you'll find our detailed reviews, but you can click the links above to quickly get more info about the cameras. Assuming you aren't already attached to a particular camera company's system and invested in a huge collection of telephoto lenses, you need to find the right fit for you. There are two behemoths in this category, Nikon, and Canon, but other companies are putting out strong contenders for wildlife photographers every year. Getting the shot requires planning, preparation, work, and the right equipment... You need the best DSLR cameras for wildlife photography (that fit in your price range). That's why we've put together this list. Not only are we going to feature the best options, we're going to organize the digital SLR's based on high-end, mid-range, and entry-level. First, we'll look at a quick roundup then we'll go over some more basic information to help you make an informed purchase and to choose the camera that'll suit you the best. Do you need a DSLR? Yes. Mirrorless cameras are on the rise, but DSLRs continue to reign supreme. Ultimately, what you want is an interchangeable lens camera system. While mirrorless cameras do sometimes qualify and appear on our list, they cannot usurp DSLRs for wildlife photography. DSLRs simply offer too many advantages to photographers like superior auto-focus systems, more lens options, and superior battery life. When shooting wildlife effectively you'll find you rely on fast, accurate auto-focus, good low light capability, quick burst rate, durability, weatherproofing and most importantly telephoto lenses. Auto-focus is an important feature. Nature moves, no matter how still it may seem you will miss some of the absolute best shots if you have a slow auto-focus. You'll find the more expensive professional DSLR cameras generally have more auto-focus sensor points, use phase detection and rely on faster processors and more refined algorithms to find focus quickly. DSLR technology as a whole wins hands down in the auto-focus realm as it uses a technology called phase detection. You’ll find lower end cameras, camera phones and micro four thirds cameras are forced to use significantly slower contrast-based systems. Generally speaking, it's better to have more autofocus points than less. More areas you can tell the sensor to pay attention to, more areas in which the processor can track your subject. The number of points isn't the entire story, so don't be deterred if your camera choice happens to have a few less than another. Newer bodies often have faster processors and more refinements in the AF system, providing faster more accurate results. It's important to look at the AF system as a whole, including your lens pairing. FYI: ISO was developed by the International Organization for Standardization and originally quantified the “speed” or sensitivity of camera film but now also applies to solid-state image sensors found in DSLRs. Everyone expects low light in wedding photography or while photographing stage performances, but you'd be surprised how often you are shooting in shaded groves off a hiking trail or catching an animal out eating in the early morning, or after sunset. Those are some of the moments where you can capture the most brilliant shots, but only if you're equipped to do so. The boundaries of high ISO performance are pushed further with every new camera body on the market. This allows you more flexibility to shoot in lower light without sacrificing aperture or shutter speed. Basically, ISO numbers reflect how sensitive the sensor is to light before the noise makes it unusable. Low light is also where the Full frame vs. Crop or APS sensor begins. You'll find that a larger sensor captures a wider field of view, has more surface area for light to hit and so will generally outperform a crop sensor for low light purposes. The debate does not end there as we'll see when we talk about full frame vs APS or crop. Anticipating a lion leaping for prey is one thing, capturing its lightning quick movement is another. Sports and wildlife are the two types of photography that most rely on burst or continuous high-speed shooting modes. Camera specs list MAX FPS or maximum frames per second and maximum burst rate. MAX FPS tells you how many shots, given perfect circumstances, your camera is capable of taking in a single second long hold of the shutter. Maximum burst lets you know how long you can keep holding the shutter before your camera's buffer is full and your frames per second drop off considerably. Large file sizes take longer to process and record to your memory card so some photographers will shoot JPEG instead of raw to maximize their burst. 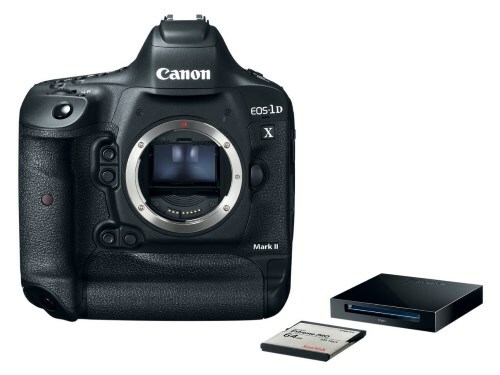 It's also crucial to pair your camera with a high-speed memory card. Sites like this ﻿﻿one﻿﻿﻿﻿﻿﻿﻿﻿﻿ will test different cards with different cameras to find the best pairings for best results. Sensor size is always a great debate when purchasing a new camera body. So let's start by throwing ego out, and remembering the camera that gets you the results you want is the right camera for you! Full frame sensors cost more money and are usually the standard for higher end professionals. Usually, they are housed in larger, heavier bodies which typically have more weatherproof considerations. The physical sensor is larger which, of course, costs more to produce but provides more surface area to absorb light, provides a wider field of view, and some will say a “better quality of pixel”. Crop sensors are often less expensive, smaller, lighter weight and provide you a magnified image using the same lens. This magnified view can mean a crop sensor camera lets you frame a long distance shot without using lens teleconverters. The 'quality of pixel debate' is ongoing. Often you'll find a newer crop sensor outperforms an older full frame once you 'crop' it to the same size in megapixels, and may provide better burst rates. At the end of the day, if you are buying in the newer current generation, a full frame image can be cropped and is more versatile but more expensive. You also sacrifice a certain level of portability with full frame but you might find that a fair trade off. This is the high-end range of DSLR cameras, where the company flagships sit. While there are other bodies that cost even more out there, none are really suited to wildlife photography where fast autofocus and burst rate are more important than medium format sensor sizes. 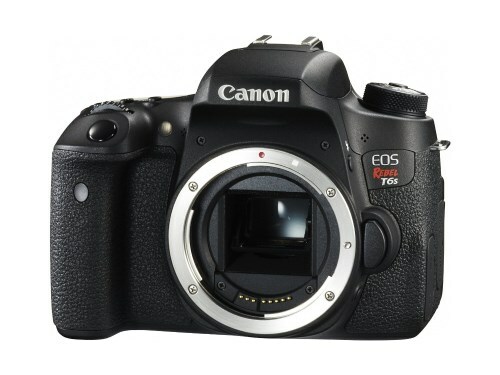 In this price range, you’ll find the top of the line DSLR cameras. Each uses top tier technology from each company for the professional market before it’s made it’s way to the mid-range arena. If you want the absolute best of the best DSLR, this is where you look. The latest top of the line flagship from Canon is environmentally sealed and 61 AF points are available at maximum apertures down to f/8. New improved metering technology will provide more accurate focus tracking. which is important to wildlife photography. All focus points are available working with Canon EF-super-telephoto lenses and EF extenders. The camera has high ISO capabilities for good low light performance and dynamic range. The buffer for continuous RAW shooting is unprecedented and nearly limitless when combined with a fast CF card. The top of Canon's enthusiast line gets more and more refined with each iteration. It features a solid build quality with decent weather sealing. 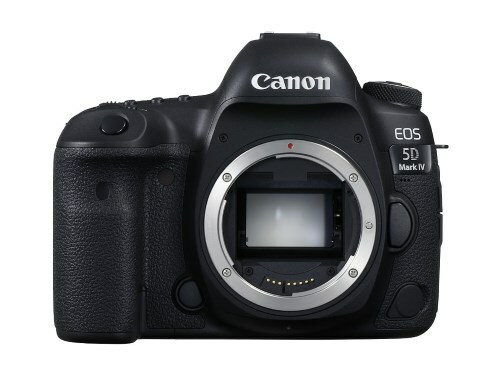 The 5D Mark IV has excellent max burst and a very respectable max frame rate. Using a similar 61 autofocus point to its flagship brother, it makes a compelling option at nearly half the price. Sacrificing the superior weather sealing and higher continuous frame rates. Nikon's latest flagship offers best in class low light quality with a newly redesigned autofocus system, with a dedicated processor that makes it an easy choice for professional sports and wildlife photographers. In fact, the only real downside of this camera is the weight. It's 3.12 lb's of very solid construction and environmental sealing to carry around; But the burst rate, fps, amazing auto-focus and class leading low light capabilities mean lugging it around is generally worthwhile. The Sony a99 Mark II is something unto itself. Using their SLT format, the camera uses a hybrid AF system with 399 contrast detection points and 79 cross-type. It is weather sealed in a rugged body that features image stabilization and a quick buffer rate. The relatively-reasonable price and incredible specs mean Sony is finally a contender for wildlife photographers. Our "high end DSLR cameras " category has only a few truly great wildlife cameras. 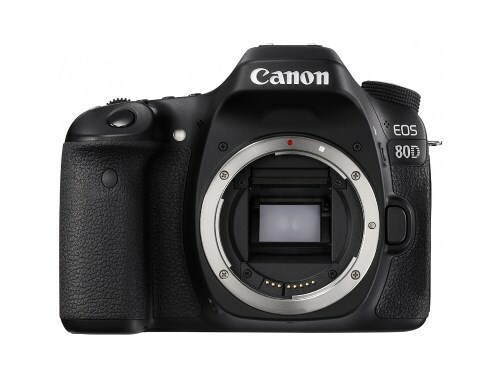 In this price range, you are buying some of the best DSLRs on the market. We declare the winner for wildlife photography - The ﻿Nikon ﻿D5. While the Canon 1DX Mark ii edges the Nikon out slightly on frame rate, the Nikon D5 pulls ahead for an important feature we didn't even list – battery life. The Nikon D5 battery life is rated for 3780 shots compared to only 1210 from the Canon. This is crucial for a wildlife photographer, as you never want to miss a shot due to a dead battery. Plus you'll save money buying fewer spare battery packs and lugging around fewer battery packs in your wildlife kit. The mid-range category contains more DSLRs suited to wildlife photography than any other. It's a crowded space, where the major companies are all putting some of their best value propositions on the table. This category is where high-end prosumer meets entry level professional. While the high-end category had the 'best of the best' in terms of frame rates and low light performance, the savvy wildlife photographer will notice some impressive flagship features trickle down into newer mid-range models. The competition is fierce, and while different brands will try and woo you it’s important to keep your eye on the stats that are crucial to the type of photography you intend to do. This is an earlier Sony SLT technology camera that offers great frame rates and a strong autofocus system. With some limited weather sealing and a reasonable price, it makes a strong play for wildlife photographers at this price point. It would be nice of the battery life was a bit better, but you can't always have everything you want. Firmly in the enthusiast price point, this camera prioritizes ease of use and offers one of the best dynamic ranges of any APS-C sensor Canon cameras. The low light performance is reasonable and while it has plenty of AF points and the burst rate is excellent, the subject tracking could be better. A mid-size, well built, great all-around camera that excels in what you need for great photos of wildlife. 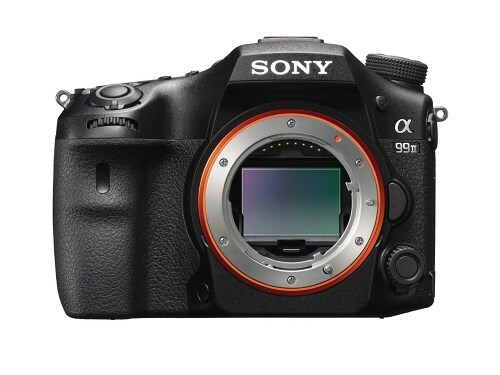 This model was originally announced late 2014 but made a huge mark in the mid-range DSLR market. Especially when it comes to sports or wildlife photography. While it doesn't feature the best dynamic range, it's fast frame rate, high burst, and fast autofocus gives it a professional wildlife camera feel in a mid-range crop sensor body. The Nikon D810 may seem at first glance to be a better studio, landscape and portrait camera with it's massive 36.3 MP sensor, but that's not the full story. The D810 gives you the ability to use FX lenses and shoot incredible high-quality landscapes combined with the flexibility to shoot in DX Crop mode. DX Crop mode will give you that feeling of extra reach and you'll be shooting RAW in smaller file sizes meaning the EXPEED processor can potentially get up to 46 shot buffer. 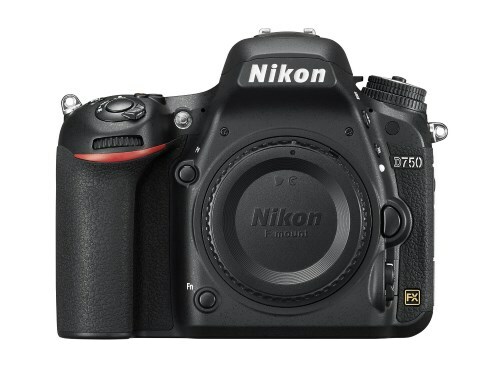 The D750 put high-end autofocus and low light performance, with a full frame sensor, into a mid-size camera body. The “can't miss” autofocus and low light performance, very reasonable frame rate, and easy to carry size makes this camera a solid wildlife DSLR for the price. TIP: Wildlife photographers may want to try 12-bit RAW to get buffer depths of up to 22 frames, or DX crop mode for even more. 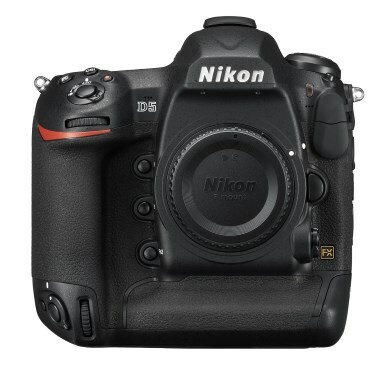 The D500 is the long awaited upgrade to the D300S from Nikon. 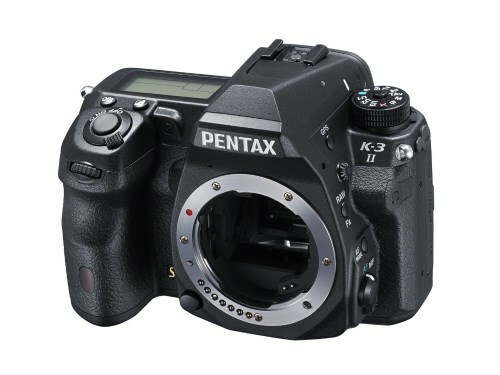 This is a professional quality APS-C DSLR. Using the same 153 point autofocus system and EXPEED 5 image processor as the flagship D5, the D500 packs a punch and feels targeted specifically to the sports and wildlife photographer. 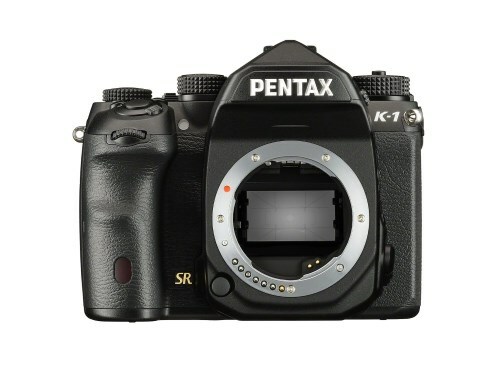 Pentax put up a big MP full frame contender with the K-1. While it shoots impressive quality and has a tremendous ISO range, it also suffers from low frame rates and below average battery life for its class. 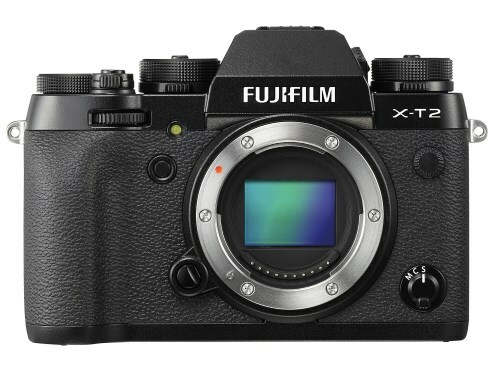 A mirror-less entry and Fuji's attempt to pull more DSLR users to their system with flagship features. This model boasts great weather sealing and a focus on improving the continuous auto-focus performance over previous models. Using the optional vertical power boost grip and different shooting modes like compressed lossless RAW, or using the electronic shutter as opposed to mechanical, can boost FPS up to 11 or 14. Unfortunately, being mirrorless still means low battery life, none the less - this camera packs a lot of punch for the price. Feeling like it was designed specifically for wildlife photography, the Nikon D500 is our winner. While the Canon 7D Mark 2 feels like a direct competitor, the 153 point AF system in the Nikon combined with its EXPEED processor are too compelling for the wildlife or sports photographer. The D500 offers a superior buffer for more continuous shooting, excellent image quality, excellent low light performance, and once again - Nikon battery life is simply better. It's good to see Fuji making a play for this market with their mirrorless entry, but in this price range, the D500 feels like a perfect camera. 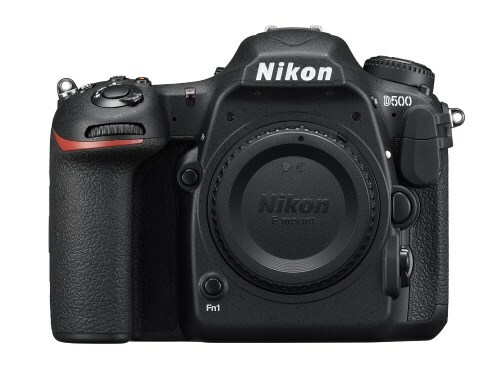 While there are other excellent Nikon's in this category, when looking for the best DSLR for wildlife photography the D500 feels like a clear winner. Wildlife photography is much like sports photography in that you're often capturing fast moving subjects from a distance. The best AF systems and low light performance don't come cheap, but they do trickle down, and great camera bodies may decrease in price after even a year on the market, so you can sometimes find the one-time best, that's now an entry level DSLR for wildlife photography, at a price that may fit within your budget. The king of Nikon's prosumer, or enthusiast, line. This APS-C offers great low light autofocus, frame rates, image quality, and buffering for its class. If using 12-bit raw files, you can buffer up to 27 frames. All packed in a light and easy to carry package with dual memory card slots and excellent battery life. While considered 'entry level' for a wildlife DSLR, it's certainly an excellent entry point. 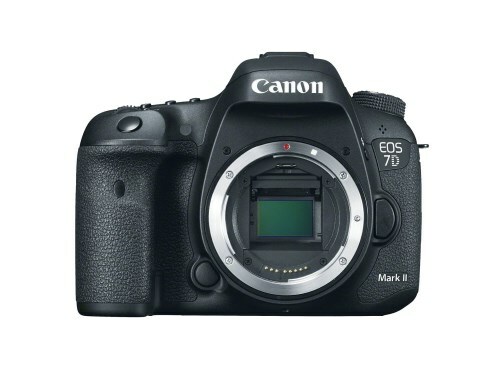 The 70D is the previous incarnation of the Canon 80D and was the successor to their popular 60D. With good battery life, respectable auto-focus and buffer the feature improvements over previous incarnations are video-oriented making it an excellent multimedia camera. 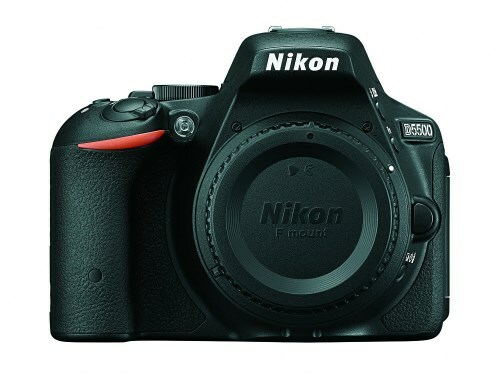 That said, its reasonable price and powerful features make it an excellent starter DSLR for wildlife photography. Another mirrorless entry, the a6300 is a small package with big image quality. Its compact size and weight, fantastic frame rate, and auto-focus systems make it a great small package kit. 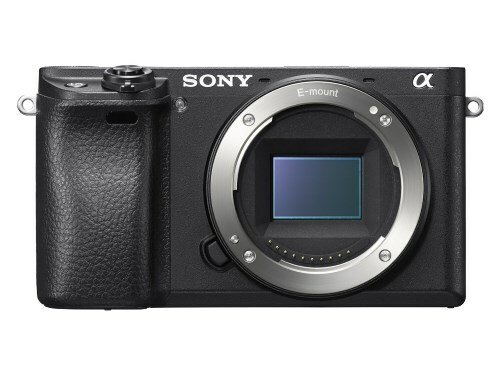 The greatest limitation of the a6300 is Sony's lack of selection for crop-sensor lenses. If you find a lens you like and can manage the battery life, though, this compact body is easy to pack on your next hike. 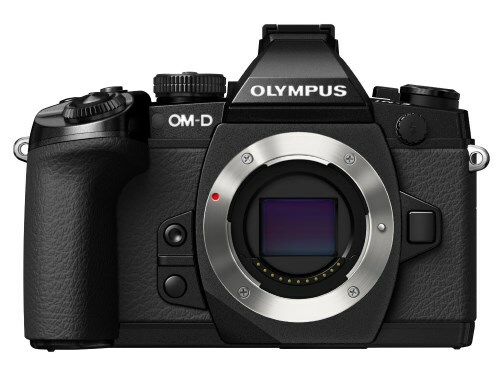 Olympus' goal was to make a compact micro four thirds camera that could be taken seriously by professionals. When released, it was one of the more expensive Micro Four Thirds on the market, but now offers a very nice entry point to photographers looking for a fast frame rate and snappy autofocus in a rugged body. The Pentax K-3 II takes great shots. Its pixel shift technology is targeted to still subjects, and it has some quirky features for astrophotography. 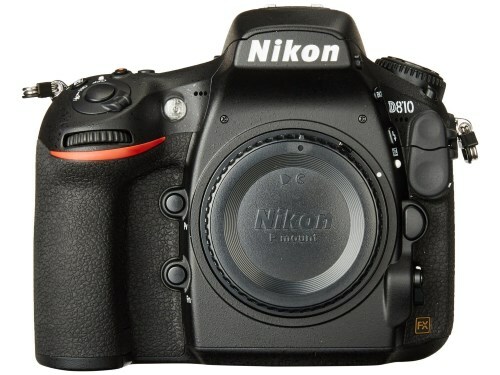 Where it shines for the wildlife photographer is its extremely rugged body and extremely good frame rate for the price. Plus, automatically GPS tagging pictures with no added accessories makes organizing your wildlife shots by location a breeze; while not a necessary a game-changing feature, it's fun and convenient. The Canon rebel series continues. 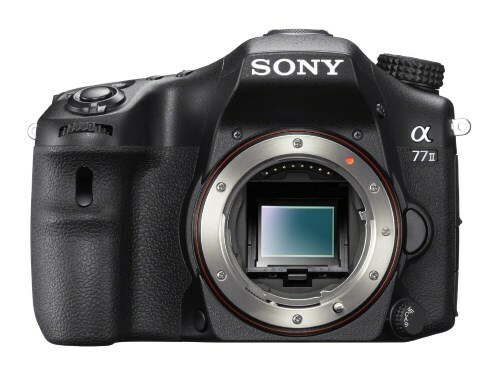 The T6s is a slight variant to the T6i, offering a slightly more advanced layout and a servo motor for AF lenses and a top deck display. Buffer depth is expected to be low for RAW in this class, but if you go to best quality JPEG it quickly moves to an excellent 50 frames. While overall a great entry level camera, it does suffer below average battery life for a DSLR using optical viewfinder in this class. This is the 'mid range' of Nikon's entry level cameras, with a long line of predecessors. The high res sensor with no AA filter can be susceptible to artifacts, but can also offer amazingly sharp images in this price range. For its class, it offers excellent dynamic range and ISO performance, as well as incredible battery life. Unfortunately for wildlife photographers, it suffers (like most in its class) from a shallow RAW buffer depth and only 'ok' burst rate. 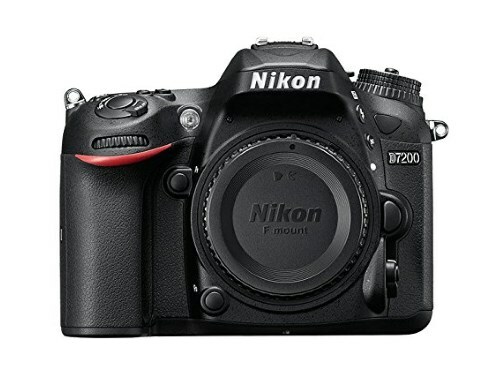 It stands to reason that it's in the top tier of price in this category, we have to give it to the Nikon D7200. The Nikon d7200 is an enthusiast camera that inherited a lot from its full frame bigger brothers, including a fantastic AF system. 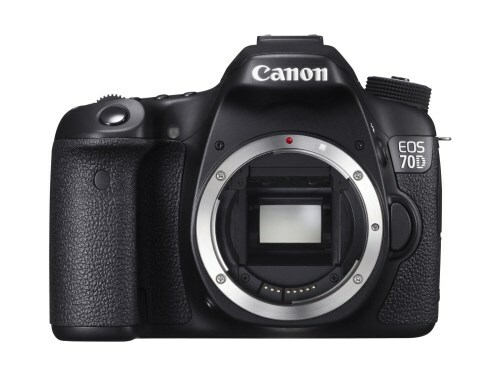 The controls on the D7200 will feel more familiar if you upgrade to a pro-level camera. Battery life, and dual memory card slots make it more versatile than other options. While not necessarily as flexible as some, the Nikon D7200 has the technical specs to make it one of the best wildlife DSLR cameras for its price point. As one of the two major contenders within this space, both Nikon and Canon go back and forth year to year with new features and developments. In the current market state, Canon offer compelling multimedia features for videographers, but Nikon edge them out on technical areas specific to wildlife photography - especially battery life! Mirrorless technology is developing increasingly solid entries into this space and is exciting to watch as they could bring insanely fast frame rates to lower priced bodies. However, they have not as of yet caught up to DSLRs. Remember the best DSLR for you, is always the one you will carry with you and feel comfortable using. If you have any questions or comments about our selections post them below in the comment section or email us directly on our contact page.